Who is offering the best poker bonus online? We have heard that question asked many times over the years and because poker sites change the size and conditions of their bonuses it’s hard to give a definitive answer. Luckily for the players, poker sites are always competing with each other to attract new customers making them offer good, solid bonuses. Where there is competition there are always good deals! The poker bonus guide at Classic Poker lists some of the best poker bonuses currently available online. Get Your Poker Bonus Here ! Below we have described three superb poker sites with excellent poker bonuses. Each site offers free poker bonuses that you can play through one after the other. You can choose to sign up at all the recommended poker rooms listed below and collect your bonus from playing at all of them. It’s always advisable to take advantage of the poker bonuses on offer as they give you ‘rakeback’. If you are unsure about how poker bonuses work read the clear explanations given below. 888Poker is the second largest independent online poker room and features superb bonuses all the time. 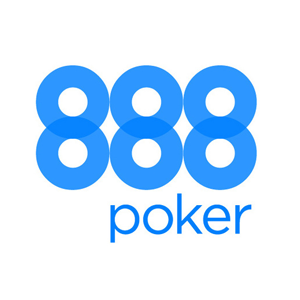 At 888Poker new players benefit from two bonus packages once they register a poker account. Before you make your first deposit you are given a £20 ($32) bonus package of 7 tournament tickets to use in the 888Poker room within 24 hours of crediting to your account. Upon making your first deposit you receive a superb poker bonus welcome package that includes a bonus up to $400 matching the first deposit you make to your new 888Poker account. To convert your bonus to hard cash you simply play real money poker automatically earning bonus points. With every 100 bonus points, $10 of your bonus is converted to hard cash and dropped into your real money account until the whole bonus has been turned into hard cash. Free entry into the First Depositors’ Challenge Tournament. Seven X $500 First Depositors’ Free Tournaments. With around 10 million players registered at 888Poker, you will always find great action at the tables at any time of the day. PokerStars is the biggest poker room on the planet with more than 50 million members and the most advanced poker software around. Nobody does poker like PokerStars! Players are not only offered a welcome bonus up to $600 but endless opportunities to earn more bonuses and fabulous rewards every day. The match deposit bonus is placed into your PokerStars PENDING bonus account as soon as you make your first deposit to your account. You are permitted up to 60 days to make up to three qualifying deposits adding up to the $600 bonus limit. Spread the cost of making deposits over two whole months and still enjoy the full $600 welcome bonus from PokerStars. To convert your pending bonus to hard cash in increments of $10 you simply play real money ring games and tournaments earning VIP points automatically. The VIP points are allocated to players according to the amount of rake contributed in ring games and the buy in fee paid to enter tournaments. FOUR months are given to players to earn sufficient VIP points to convert the welcome bonus to cash. PokerStars has made the welcome bonus conditions realistic and do-able. 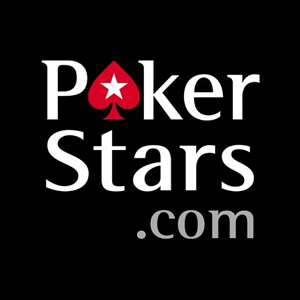 No wonder people poker players everywhere love PokerStars. Why is it always a good idea to play through the free poker bonuses offered in a card room? To begin with, poker bonuses are unlike Casino and Sports betting bonuses. Bonuses received from sports betting and casino sites commit players to wagering a certain amount of money or they forfeit winnings gained from wagering the bonus received. Poker bonuses are in no way mysterious and do not have any risks associated with them. Poker bonuses never involve the loss of winnings in the event that pending bonuses are not converted to cash during the set time period. Typically, players convert their pending bonuses to cash incrementally by playing real money poker games and tournaments. Our recommended poker sites all offer player points under different names such as VIP points, Frequent Player Points and Merit points. The points are awarded at a set rate, according to the amount of money paid in ‘Rake’ during every hand of a cash game. (Points are also awarded for the value of the buy in fee paid to enter a tournament). The money paid by players as rake is taken by the house as financial compensation for running the poker site. Remember that poker is played between players and not against the house. Without Rake and buy in fees, the poker site would have no revenue. When the ‘house’ which is the poker room offers bonuses, it’s effectively giving players rake back.It’s returning some of the money contributed by players to the house when they play real money poker as a way of saying ‘Thanks’ for playing in that card room. Players who play a lot of cash games contribute a lot of rake to the house. It’s crazy not to take advantage of bonuses offered by the card room and claw back some of the rake paid over time! Some players contribute thousands of Euros in rake every month so it’s important to benefit from every poker bonus going. Bonuses are not the only form of compensation for your playing time and your loyalty. All our recommended Poker Rooms have excellent VIP programs or Reward schemes. Real money players are included automatically in these schemes getting cash rewards, tournament tickets and valuable gifts according to the amount of points earned through real money poker play. We suggest that you look carefully at all the reward schemes running in our recommended poker rooms before deciding where to register your poker account. Long term rewards will boost your bank roll and give you a nice stash to play poker with eternally! Want to learn more about poker bonuses? There are a lot of different sites out there that compare poker bonuses. There is however big difference between the quality of these. My recommendation is http://www.pokerbonus.dk. On this fantastic Danish site, you can compare the bonuses of the best poker sites, and also read thorough reviews of all the operators. The Good Old Days of Huge Poker Bonuses! Online Poker Rooms have been around for more than 15 years which is a long time by internet standards. Poker players who began playing online poker at the height of the online poker ‘craze’ enjoyed huge bonuses unheard of today. The veterans of the initial online poker years hanker after the good old days of massive poker bonuses but they have gone for ever! Rarely do players get re-load bonuses and bonuses in hard cash are a totally out. The difficult financial conditions world wide have seen bonuses reduced everywhere. We at Classic Poker have selected poker rooms that are reliable, trustworthy and secure that also offer large bonuses with credible conditions. Our chosen poker rooms create interesting ways for players to earn bonus rewards in special promotional campaigns running on the poker platforms. Look out for poker ‘Missions’ and free tournaments with large guaranteed prize pools that are effectively bonus offers in interesting ‘disguise’. Your poker room will send informative e mails to your in box with exciting new offers in the card room that are effectively bonus offers. Keep a close eye on them as they can boost your earnings substantially in the card room.